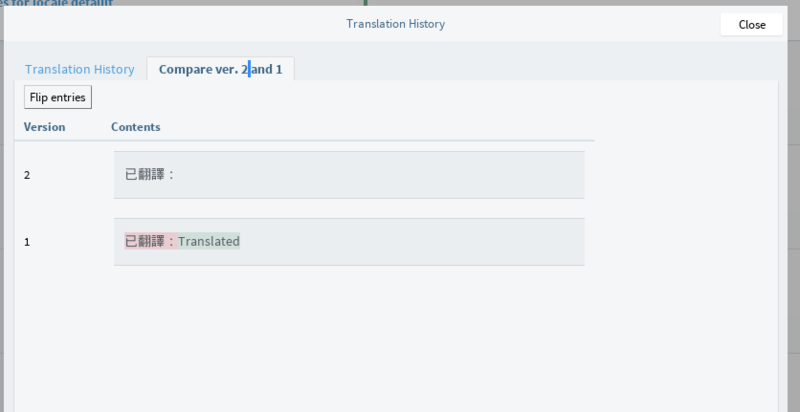 User will be able to see translation history of each messages. It will display for each translation, the version number, contents and status, modified user and modified date. If you have unsaved contents in your editor while firing up translation history, your unsaved contents will also be included in the history table with version showing as "Unsaved". You will then be able to compare it with one saved translation.